One of the nice things about living in the Northern Hemisphere is that it is easy to hop on a plane for a short holiday. 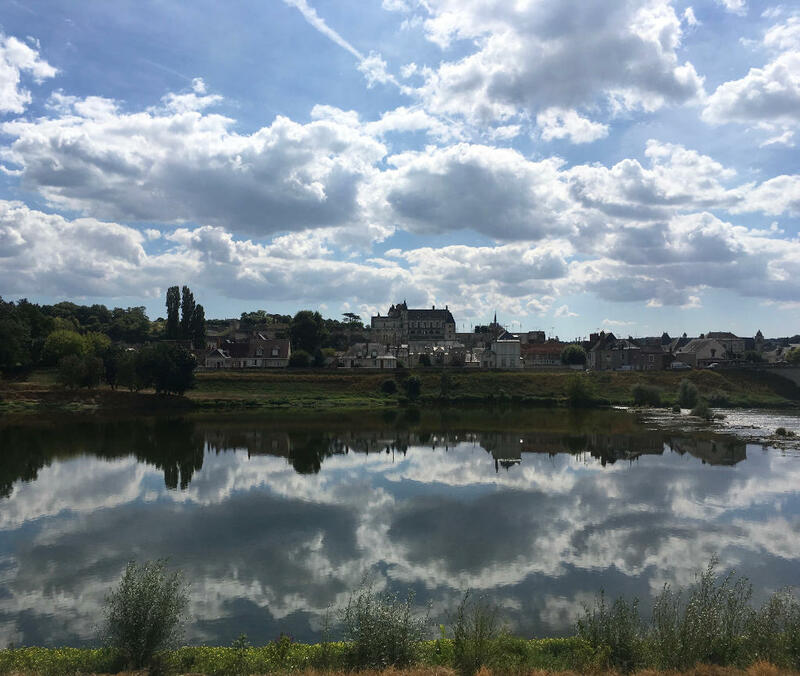 So we went to France and caught the high-speed train to Amboise. Amboise is a pleasent little town of 12000 people, almost exactly the same size as Oamaru, the New Zealand town I grew up in. While both have some nice stone buildings, Amboise is slightly ahead on the impressive architecture rankings. The town is dominated by a the Château d'Amboise, a castle perched on a hill overlooking the town. Although some of the fortifactions were removed it is mostly intact and a very interesting place to wander around. 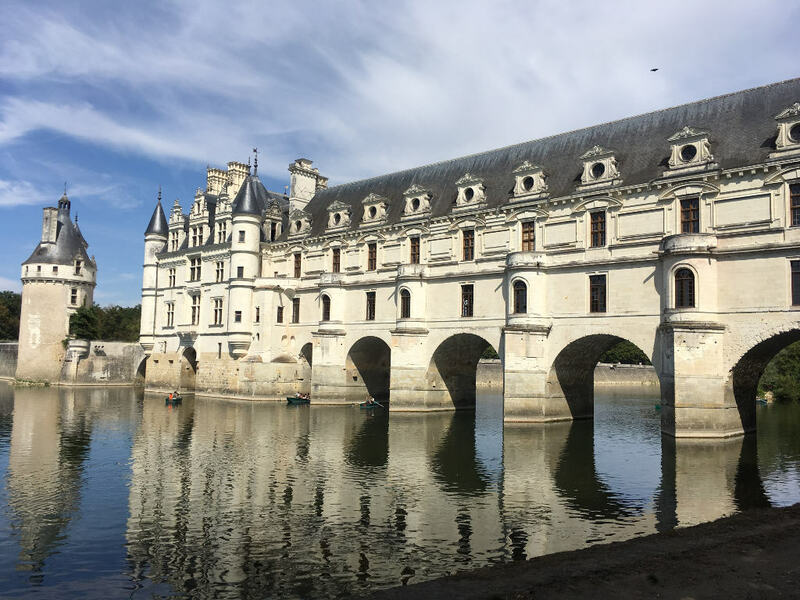 As well as being a charming place with a castle, Amboise is also famous for hosting Leonardo da Vinci for three years before his death. The building in which he lived is somewhat intact (although modified) and is now a large museum dedicated to Leonardo's art and inventions. 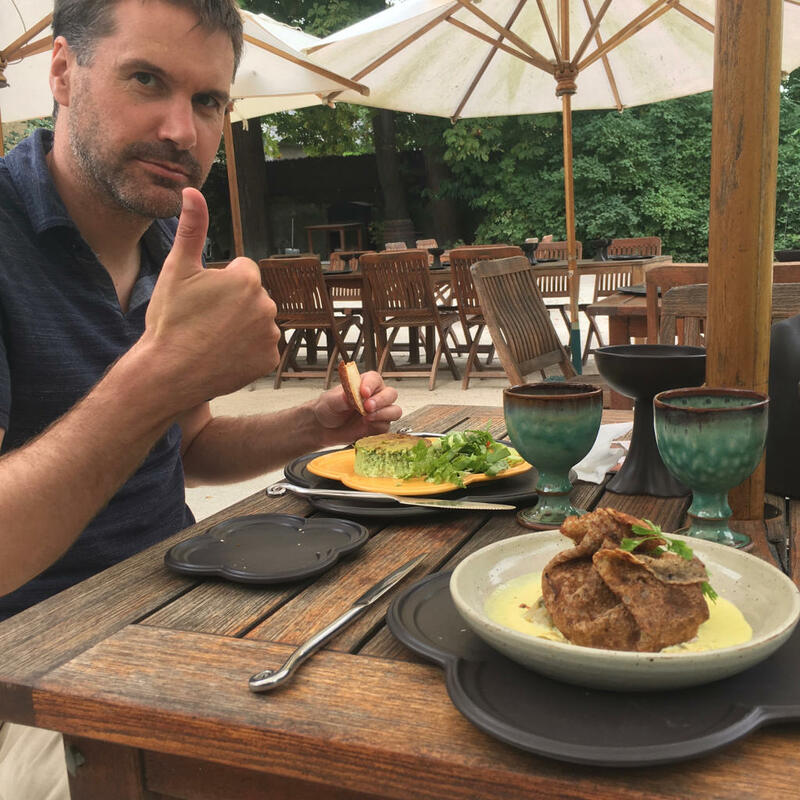 The grounds also contain a restaurant that serves medieval fare served by appropriately costumed waitstaff. This is not as cheesy as it sounds. An easy bike ride Well, it would have been easy if my rented bike hadn't developed a flat tire on the way back away lies the Château de Chenonceau, which is considerably more ornate than anything in Amboise. King Henry II gifted it to his mistress who really went to town on the home improvement front When Henry died his more-official widow took the opportunity to grab it back. On the last day of our trip we randomly decided to visit Cave des Roches at Bourré, a huge underground mushroom farm. 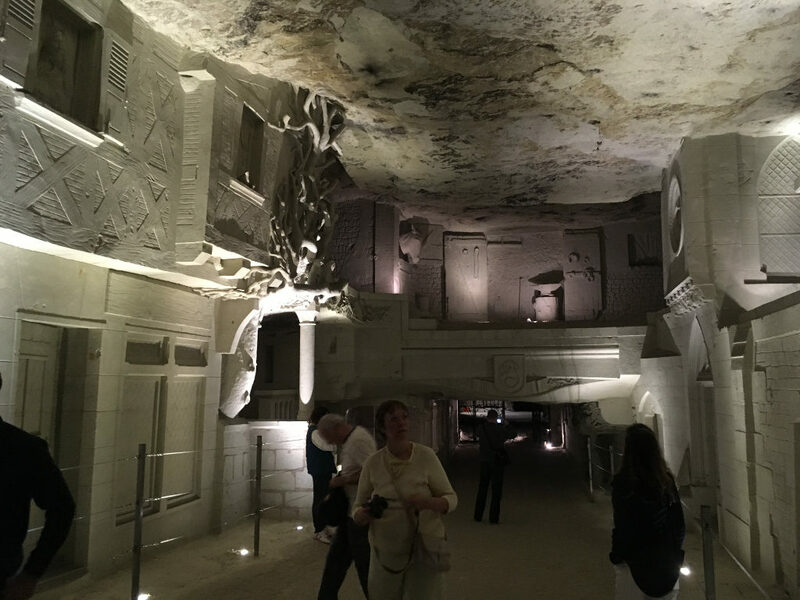 We were a bit dubious because the guided tour is not cheap and is basically a walk through an underground quarry getting lectured about mushrooms but the highlight is the last section where the limestone is carved into a lifesize village scene complete with stone animals and people. The photo doesn't really do it justice, it really is something to see and I regret that my french isn't good enough or existent enough, really to report on how it was explained to us by the guide The website doesn't really explain anything either.